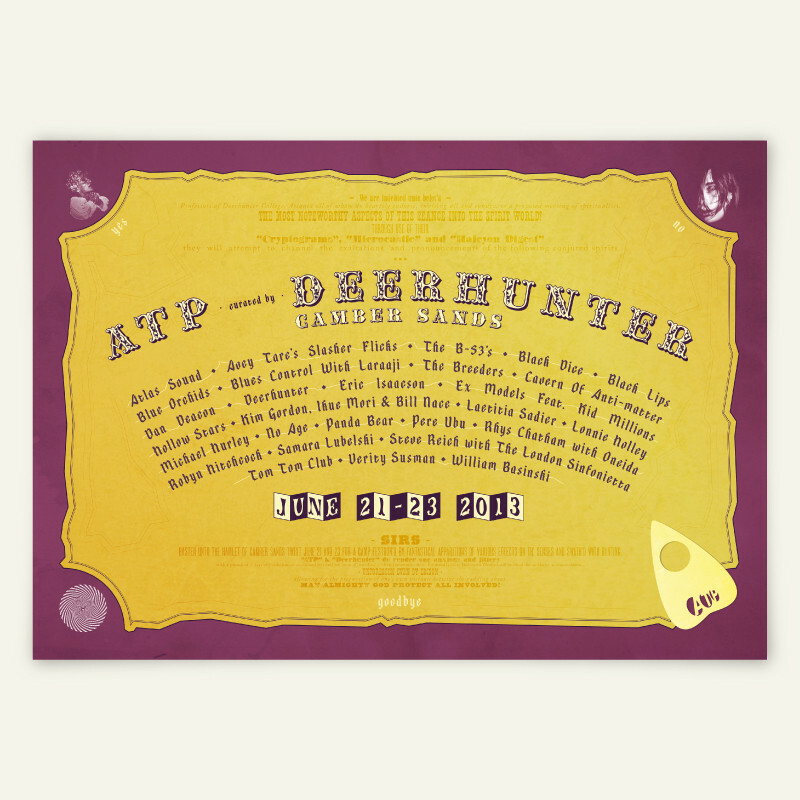 Official poster from ATP Festival curated by Deerhunter, (June 21st to 23rd 2013, Pontins, Camber Sands). Limited edition of 100 A2 Lithographic art prints. Designed by James Huw King.